This official Manchester City shopping bag has the club crest on each side of the bag. It measures 38cm x 33cm x 17cm and is 100% Non Woven Polypropylene Fabric. 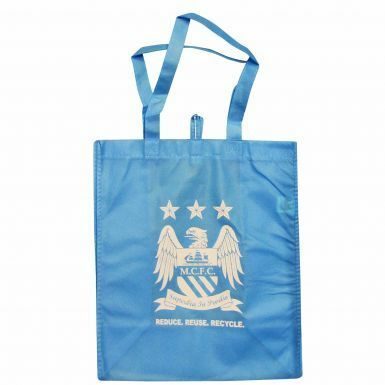 This bag is ideal for shopping and for all Man City fans.